This unique musical keepsake box is a thoughtful gift to give to a close friend or family member who has just had a baby. The box comes with a silver train handle that makes it easy to take little things inside and out- perfect to store all the little one's treasures inside. 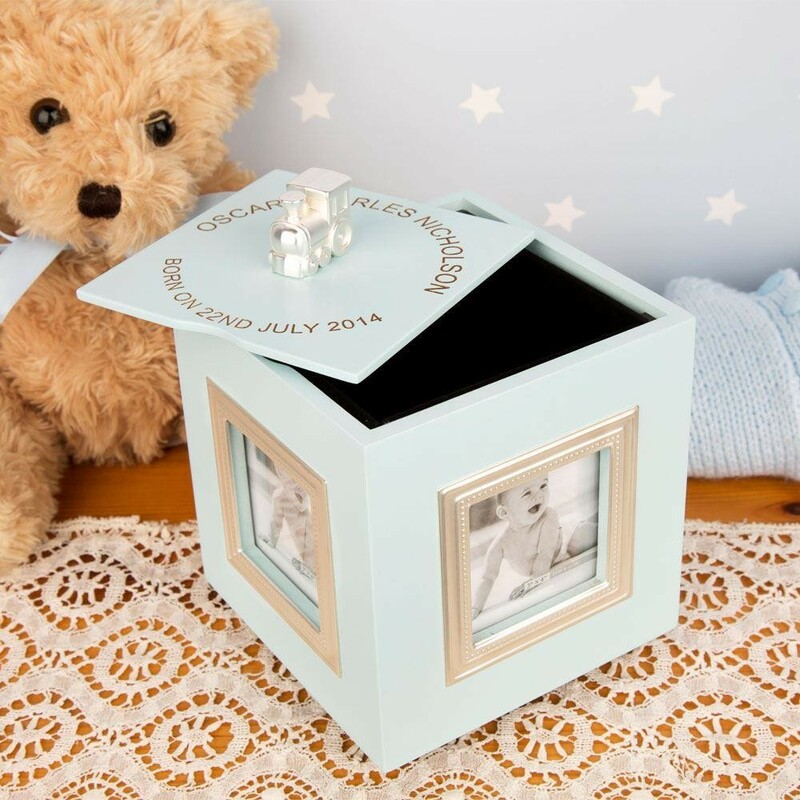 Twisting the base of the box will start a gentle melody (twinkle twinkle little star) as it gently rotates, bringing four baby photos to view. This makes a beautiful addition to a baby's nursery sat on top of a set of chest of drawers or book shelf. We personalise this gift in house with the baby's full name, occasion ('Born On' or other) and date of occasion. Photo windows: 2inch x 2inch.